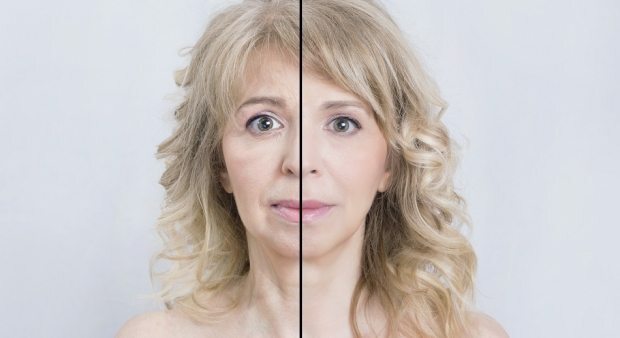 As we start to age, the face can show a variety of signs that time is taking its toll. The lips begin to thin and lose volume, jowls can appear due to hollowing of the cheeks and loss of firmness of the skin; due to a loss of substances such as Collagen and Elastin. When your daily skincare routine is no longer adequate, it’s reassuring to know that there are non-surgical treatments that can turn back the clock and restore your youthful appearance. Here at The Spa at Bedford Lodge Hotel in Newmarket, Suffolk, we believe that pampering incorporates relaxation and indulgence, as well regaining your youthful beauty and therefore, we not only provide a superbly renovated spa, offering luxurious treatments, performed in the most beautiful surroundings, but our aesthetic practitioners can offer their expertise in non-surgical injectable and device-led treatments for both the face and body. Wrinkle-Smoothing Injections act to temporarily relax the muscles which cause expression lines and help to lift areas such as the jaw line and mouth area. Traditionally used in the upper face for concerns such as crow’s feet and forehead lines, modern techniques have proven extremely successful in treating the lower face and are now becoming very popular when used in combination with Dermal Fillers. Wrinkle-Smoothing injections offer no downtime following treatment. However, post-treatment care will be advised upon initial consultation. Dermal Fillers are substances which add volume to areas of the face, such as laughter lines, bottom and top lip, cheeks, temples and smoker’s lines. When used in these areas, a plumper, healthier, hydrated and lifted appearance is regained, taking the years away and improving the look and feel of the skin. This combination treatment utilises very advanced techniques and can only be performed by qualified and medically trained practitioners and fortunately for The Spa, is one of Dr Victoria Waddingham specialities. Prices start from £260 and will be discussed in your initial consultation. £35 consultation fee (redeemable against your first treatment). For more information on Facial Rejuvenation with Dr Victoria Waddingham and to arrange a consultation, please call us on 01638 676130. Our Newmarket-based spa is conveniently in easy driving distance from Cambridge and Bury St Edmunds.